Introducing new leaders and old film textures. For the first time we are offering unparalleled natural-like 'scratch on film' transitions, purposely manipulated to create striking edge wipe effects with a retro touch.... Clips can be purchased individually below. Read the NLE Ninja review here. *Download links will be emailed to you, if you have not received it in your inbox, please check your spam folder, links expire after 24 hours. **Clips MUST be exclusively viewed and used inside an editing or compositing application, see manual for more details. ***FFX1.0 Library is accessable with the purchase of LVFX Platinum. Film FX Transitions Pack 2.0 continues where Film FX Transitions Pack 1.0 left off, providing 23 unique grungier film effects, including more light leaks, film flash, film burns, scratches and dirt. With this new release we are also introducing new leaders and old film textures. For the first time we are offering unparalleled natural-like 'scratch on film' transitions, purposely manipulated to create striking edge wipe effects with a retro touch. Please take a look at this short demo to see just some possible edge wipe transitions** obtainable by using clip FFX2.0_23. This new release includes longer and even more flexible effects, allowing the user to select either a portion or the full length of a given transition. 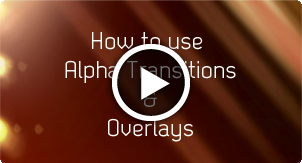 Film FX Transitions Pack 2.0 can also be purchased as a bundle. The current date and time is Tue 23rd April 2019 :: 02:12:36 at Luca Visual FX Studio in London.